One of the best things about New Zealand is the variety of landscape and scenery within driving distance. To make your stay in Nelson more memorable, we have selected the best places and activities for you to do in Nelson, Mapua, Abel Tasman, Golden Bay and Nelson Lakes National Park. Select the type of activity you would like to learn more about to view our suggestions. 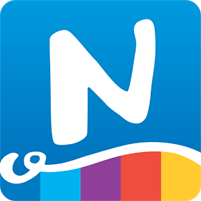 While you're staying in Nelson, you can download The Nelson App which features local news, sports, events and useful information. Its a great way to see the Nelson community and its surroundings.